The opening of the New Doha International Airport, scheduled for the end of this year, has been put back until the middle of next year. 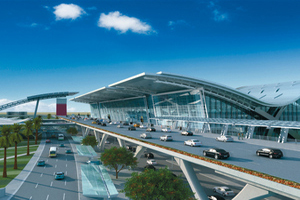 The airport will open for passenger traffic in the second half of 2013 and will feature two runways, one of which, at 5,400, is one of the longest in the world. The delay has been put down to a number of setbacks, including the termination of a fit-out contract.